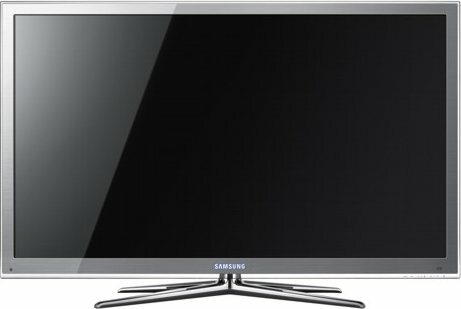 Yes, we know it’s 2012 but we’re taking a look at one of Samsung’s fantastic 2011 range 3D HD TVs – this is still pretty darned cutting edge you know! The Samsund UE46D7000 is a LED powered 46″ object of beauty. The extremely thin bezel means that you can pretty much take out your old 42″ screen and dump this one down in it’s place without having to rearrange the rest of your house as thanks to that bezel, the footprint is very much the same (this does, of course depend on your current TV as if you already have the 42″ version of this particular TV then you already have the mighty fine and thin bezel!). The D7000 means this range is one step down from Samsung’s flagship D8000 TVs, but if you were to take a look at the two ranges, side by side, you’d be hard pressed to spot the differences. In fact, the actual specification of the two is identical meaning you get almost everything you could ever want for in the form of Freesat and Freeview HD TV reception, built-in wi-fi for easier access to a Samsung’s Smart Hub, ‘active’ 3D technology and a pair of 3D glasses supplied in the box. Down to the viewing. With 3D source still fairly thin on the ground, you’ll be pleased to know that in 2D, this telly excels. Viewing HD content via either of its built-in HD tuners is a delight although we’d say the Freesat HD just pips its Freeview rival in the quality stakes. Low light details are good, blacks are black and motion is handled very capably thanks in part to the 800MHz processing. Upscaling is also handles adeptly. 3D still suffers from the usual problem of crosstalk, but this has been significantly reduced from the previous year’s models and the pictures appear brighter, more colourful, more detailed and deeperricher than they did with last year’s as well. If you’re in the market looking for a quality, premium television to entice you in to the world of 3D TV, then the UE46D7000 is the 3D TV for you.